This primer will provide a short background on the principal phenolic components found in grapes and wine. The most basic phenolic compound is phenol (see figure 1). Phenol is simply a benzene ring with a single hydroxyl functional group. There is no phenol in either grapes, or wine. 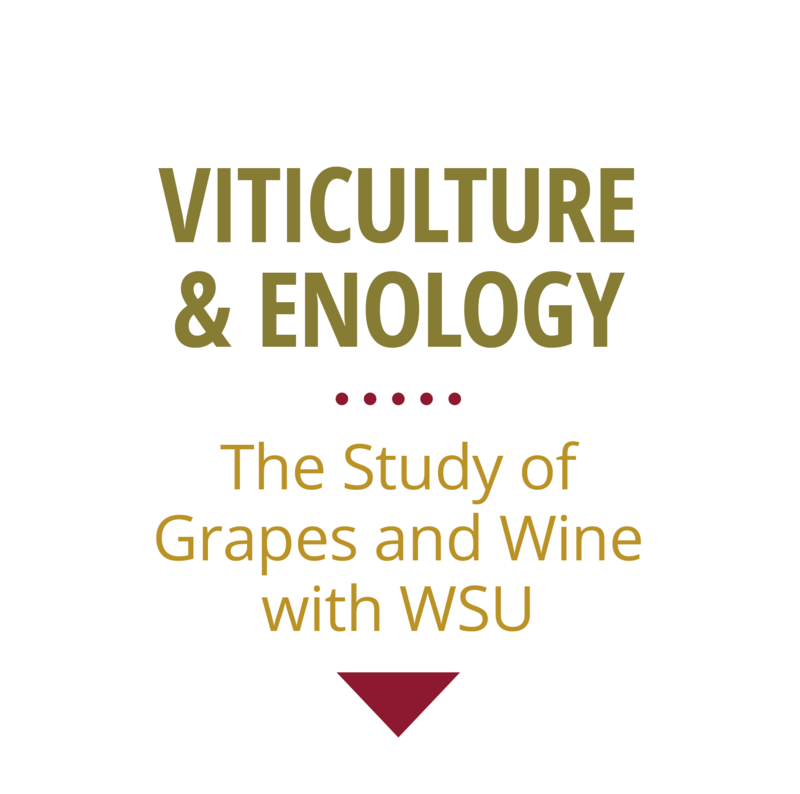 The phenolics found in grapes and wine are considerably more complicated, but can be easily separated into flavonoid and non-flavonoid compounds. The non-flavonoid compounds have slightly more variable structures and are not always derived from grapes. The two most well-known classes are the hydroxycinnamates and stilbenes. Hydroxycinnamates are ubiquitous in plants and grapes are no exception. They are located in the pulp of the grape and are primarily esterified by the principal grape acid tartrate. The most abundant of the hydroxycinnamates found in grapes and wine is caftaric acid (figure 2). Hydroxycinnamates are potent antioxidants but have no sensory impact except when oxidized they may form brown pigments that eventually, precipitate. The other familiar grape derived non-flavonoid class is the stilbene. Although stilbenes are found in trace quantities in grapes and wine they have drawn attention because of their purported anti-carcinogenic properties. The most famous of the stilbenes is resveratrol (figure 3). Resveratrol has also recently been reported to be effective against neuronal cell dysfunction and cell death, and may be of use for diseases such as Huntington’s disease and Alzheimers’s disease. It has been estimated that it would take a 9-gallon serving of wine to equal the dosages used in medical trials. Thus, whatever beneficial effects may come from resveratrol in wine, they most likely are minor. However, since wine is a complicated mixture of different phenolics, the health benefits derived from them could be from synergistic effects that are greater than the sum of the parts. The last grape derived non-flavonoid of note is gallic acid (figure 4). Its presence in wine is predicated by its hydrolysis of gallate esters such as epicatechin gallate. It is a minor constituent and like many other phenolics it is interesting to winemakers as an antioxidant but nothing further. The most important non-flavonoid phenolics that are not derived from the grape are instead derived from oak barrels and present in wines by virtue of oak aging. The most notable of these compounds are ellagitannins and vanillin. Ellagitannins are oligomers and polymers of gallic acid attached to sugars. Ellagitannins are hydrolyzable in acidic conditions and are generally the breakdown products are found in wine. Ellagic acid (figure 5) is a hydrolytic product of an ellagitannin polymer and has been studied like many phenolics for its benefits to human health, but little reliable evidence has been found to support the thesis. Ellagitannin polymers are known to be astringent while the breakdown products (ellagic acid, gallic acid) are not. When ellagitannins have been compared to condensed tannins (grape derived) for their astringent properties they have been found to be relatively weak and described as more bitter than astringent. Vescalagin and castalagin are the two most well known ellagitannins polymers, but are found in minute amounts in wine (maximum 7 and 21 mg/L respectively). Any direct organoleptic effect of oak tannins remains uncertain and appears only likely through a synergistic effect with other wine phenolic compounds. Vanillin (figure 6) is probably one of the most important oak derived phenolics because of its vanilla aroma. Vanillin is primarily important in oak-aged wines rather than oak fermented wines and its acidic and alcohol forms although found in wine don’t contribute a significant aroma. There are four main classes of flavonoids: catechins, flavonols, anthocyanins, and tannins. The catechins, or flavan-3-ols are found in the seeds and are known for being bitter. Flavonoid bitterness in wines is primarily due to the flavan-3-ols, catechin (figure 7) and its epimer, epicatechin. White wine flavan-3-ol concentration ranges from 10 to 50 mg/L while in red wines they may reach 800 mg/L. Young white and red wines have been estimated on an average to contain 25 mg/L and 75 mg/L respectively. The threshold bitterness values of flavan-3-ols in water are 20 mg/L. However, ethanol concentration has been demonstrated to influence the perception of bitterness from catechins. Higher alcohol concentrations enhance bitterness while acidity has no effect on perception of bitterness. Flavonols are found in the epidermis of grape. The most recognized flavonol is quercetin-3-glucoside. During wine making and aging quercetin-3-glucoside is de-glycosylated and found as its aglycone form quercetin (figure 8). The aglycone forms are only sparingly soluble in wine, and the amounts reported are generally in the µg/L levels. Ultra violet light exposure has been shown to increase flavonol accumulation in Merlot and Pinot noir berries. While in situ experiments that were able to control temperature and light exposure concluded that while solar radiation increased, flavonol production temperature had little effect on their accumulation. Flavonols are also known as co-factors for the color-enhancing phenomenon known as copigmentation. They are well-known antioxidants and have reputed anti-inflammatory and anti-carcinogenic effects. They have yet to have been attributed a sensory component in wine. As soon as the grapes are crushed anthocyanins can react with many other must components (acetaldehyde, tannins, keto-acids, cinnamates etc.) resulting in anthocyanin-derived pigments that were all initially described as polymeric pigments. The amount of polymeric pigments increases as the wine ages. Polymeric pigments are the source of “stable color” in red wine because they are more resistant to bisulfite bleaching and their color is not as pH dependent as anthocyanins. It is now recognized that not all anthocyanin derived pigments included in the initial definition of polymeric pigments are actually polymers, and not all of the new anthocyanin adducts are colored, or as stable as the original compounds. Several compounds including vitisins, pinotins, portosins have been isolated from wines, which are bisulfite bleaching and pH stable, but are not polymeric in nature. Copigmentation has only been demonstrated to occur with monomeric anthocyanins; therefore, copigmentation in older red wines is considered to be negligible. Young red wines are typically bright red with some purplish hues while older red wines tend to have a more brick red appearance due to the different spectral characteristics of free anthocyanin and polymeric pigments. The last class of phenolics to be addressed is tannins. Tannin is the common name given to several classes of phenolic compounds. Tannins can be divided into two sub categories: condensed and hydrolyzable. Condensed tannins (proanthocyanidins) are the most abundant class of phenolics found in the grape and wine while the hydrolyzable tannins found in wine are the non-flavonoid ellagitannins derived from oak barrels (as discussed earlier). Condensed tannins are polymers of flavan-3-ol subunits (figure 10) and are a heterogeneous mixture of different polymers. They are found in the skin and seed of the grape and the mean length of the polymers has been estimated to be 27 and 6 at harvest respectively. The tannin content of wine has been reported to vary considerably (50 mg/L-1500 mg/L Catechin Equivalents) and wines made from different cultivars also show different average amounts. Tannins are responsible for the astringency of red wines. It has been found in model wine systems that larger polymers have harsher astringency descriptors. As discussed earlier, tannins will combine with anthocyanins to form polymeric pigments. It has been long speculated that these “pigmented tannins” are the source of the mellowing of astringency during wine aging. It has also been speculated that tannins polymerize during wine aging till they become insoluble and the decline of astringency is simply the loss of tannins. Neither of these theories has been proven, and the most recent evidence shows that tannins actually de-polymerize during ageing, however, the definitive work on this subject has yet to be done. Thus, it is clear the precise mechanism for the loss of astringency during wine aging has yet to be proven and further research is still necessary.